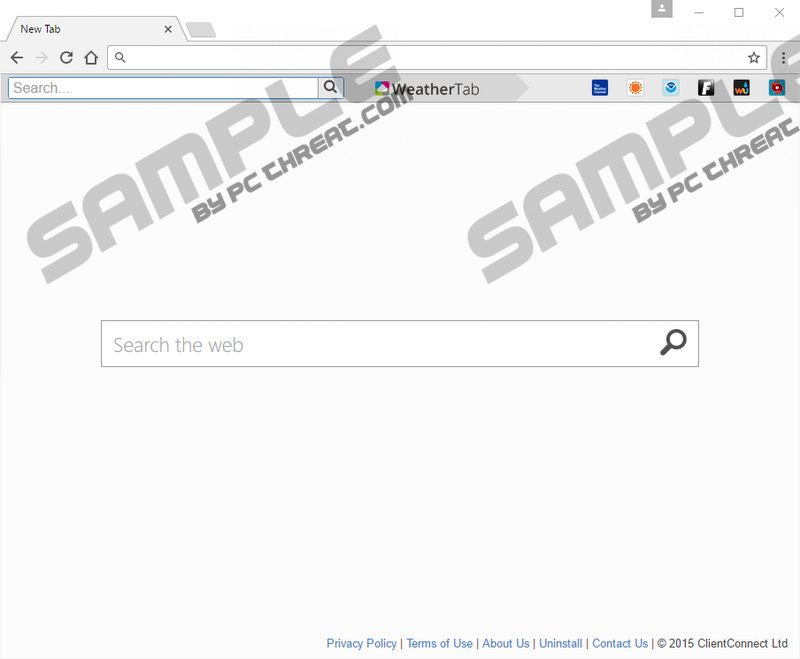 WeatherTab by ClientConnect is not a program that can be considered trustworthy as it has been found to be just one more browser hijacker. It goes without saying that we urge you to remove this devious application if it is ever found up and running on your operating system. It is critical to do so since the invasive program in question can make unwanted changes to your web browser's default settings. These modifications made by it will have a profoundly negative effect on your overall online experience. 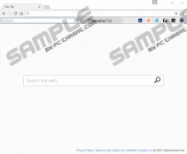 However, that is not the worst thing about this browser hijacker; our research team has discovered that in some instances it could expose your PC to suspicious web content which in consequence could lead to a system infection. It should be more than obvious that the removal of WeatherTab by ClientConnect is a must. Do not hesitate and get rid of it by following the instructions that we present below. At the very same time that WeatherTab by ClientConnect successfully enters your operating system it will induce unwanted unauthorized changes to your web browser's default settings. The alterations are induced by a devious extension that this hijacker also installs upon its intrusion. The main two changes are of you default homepage and search engine. Even though at first such modifications might not seem like much, you must be informed that your online experiences will be actually ruined because of these changes. This is so because for as long as this hijacker is fully active on your personal computer, you will not have any chance to start your online session on a website of your preference as you will be presented with some questionable third-party web page instead. The same goes in regards to your search engine as every online query will go through a suspicious search engine provided by this browser hijacker, whether you like it or not. If that was not enough, you should also know that the devious extension in question could also connect to an adware server. Such connectivity usually results in an unusual amount of third-party web content presented to you while surfing the web. Such content in the majority of cases manifests itself as invasive coupons, ads, and pop-ups. It goes without saying that such overall functionality of WeatherTab by ClientConnect will make surfing the web the way you are used to an impossible task. To restore default settings of your web browser, you need to execute a complete removal of this hijacker as soon as possible. Unfortunately, there is something much more alarming about WeatherTab by ClientConnect than meets the eye. After an in-depth analysis of this hijacker, our researchers have discovered that in some instances its devious search engine could prove to be quite dangerous. This is so because the engine could provide you with results implemented with redirect links, which could in consequence lead you to potentially harmful websites. In certain situations, you could be taken to sites designed by malware developers, which might have an arbitrary code execution exploit active on them. In quite a lot of instances just entering such a site could be much more than enough to get your operating system infected with some unknown malicious application. WeatherTab by ClientConnect is a major virtual threat, and it cannot be tolerated under any circumstances. If you ever happen to find this browser hijacker fully active on your PC, make sure not to waste any time and execute its complete removal by following the instructions that we present below. A complete removal of WeatherTab by ClientConnect is essential to your overall virtual security. By executing the removal guide that we provide below you will be able to get rid of it in its entirety. To be sure that no leftovers associated with WeatherTab by ClientConnect are active on your PC, make sure to double-check your operating system for devious traces. If you believe that such analysis of your personal computer is a bit too complicated, make sure to perform a full system scan with a professional antimalware tool as it can detect and delete anything linked to WeatherTab by ClientConnect in an automatic manner. Go to C:\Users\(your username)\Local Settings\Application Data\Google\Chrome\User Data\Default\Extensions. Locate a folder called kfcppkpcknookmaichkcdlggphglmobk and remove it. Select and then delete a folder that is entitled kfcppkpcknookmaichkcdlggphglmobk. Quick & tested solution for WeatherTab by ClientConnect removal.